I grew up in Miami where Key Lime pie isn’t exotic or hard to find. It’s a staple dessert – on every menu, case at every party and on the table with Cuban coffee after every meal at my uncle’s house. Key Lime pie is his specialty. It’s cool and tangy and graham cracker-y and just about the best thing ever when it’s sweltering outside. In fact, Tom loves to get a frozen, chocolate-dipped key lime pie on a stick every time we go to Key West. I’m a key lime purist – always opting for the regular slice. But just because I’m a purist when it comes to key lime pie, doesn’t mean I don’t like my key lime other ways. 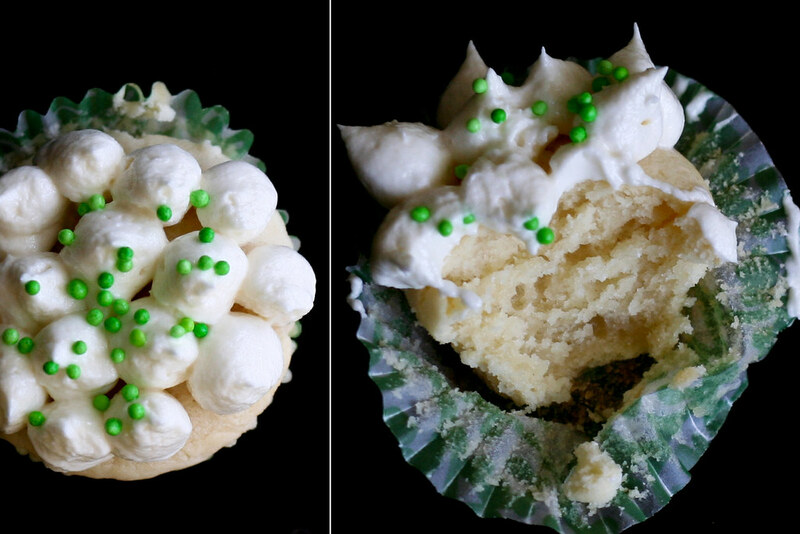 I’ve been dying to try key lime cupcakes all summer, but never got around to it. Then I was going to make a key lime cake for my sister-in-law’s birthday, but she was out of town and I didn’t have a cake pan. Key lime cupcakes it is, then. I made mini ones because I can’t stop at just one and I’ll do less damage this way. These cupcakes were better than I’d imagined. 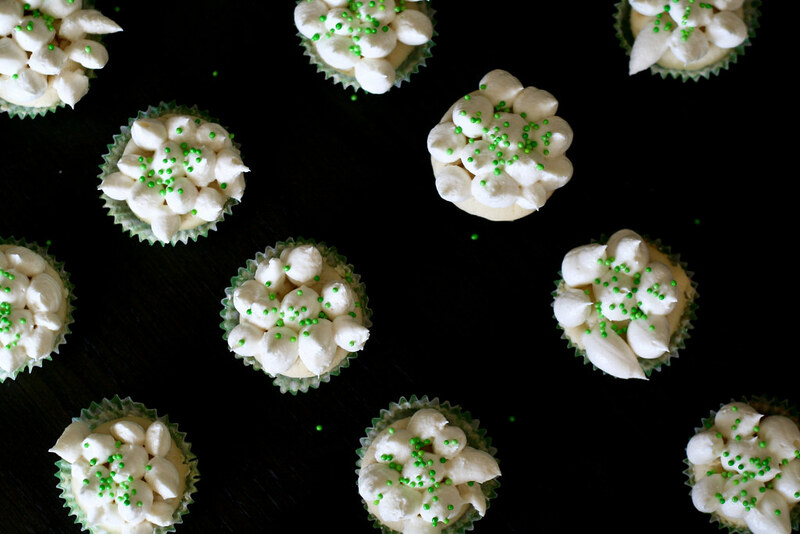 The citrusy key lime balances out the sweet cream cheese icing perfectly. I will warn you though – the batter is a little scary. When I poured that key lime juice in with the butter and sour cream, I was sure these were destined for the trash can. As you can guess, the batter curdled. But it’s nothing to worry about – it’s just like making your own buttermilk or ricotta cheese. The batter blends perfect once you add the dry ingredients and it tastes great even before you cook it. I may have licked the spatula. Just maybe. If you want a little taste of Miami without the expensive plane ticket, make these little beauties and then come back and tell me how much you loved them. 2/3 cup key lime juice, either from real key limes or bottled. I used Nell & Joe’s brand. Preheat the oven to 350Â°. Line muffin pans with paper liners or mini muffin pans with mini liners. Cream the butter and sugar in the bowl of an electric mixer fitted with the paddle attachment on high speed, until light and fluffy. On medium speed, add the eggs, 2 at a time, then add the sour cream and vanilla. Scrape down the sides then add the key lime juice. Turn the speed to medium-low and beat for another minute. Stop the mixer. Sift together the flour, salt, and baking soda in a bowl. With the mixer on low speed (stir), add the flour mixture to the butter mixture until just combined. 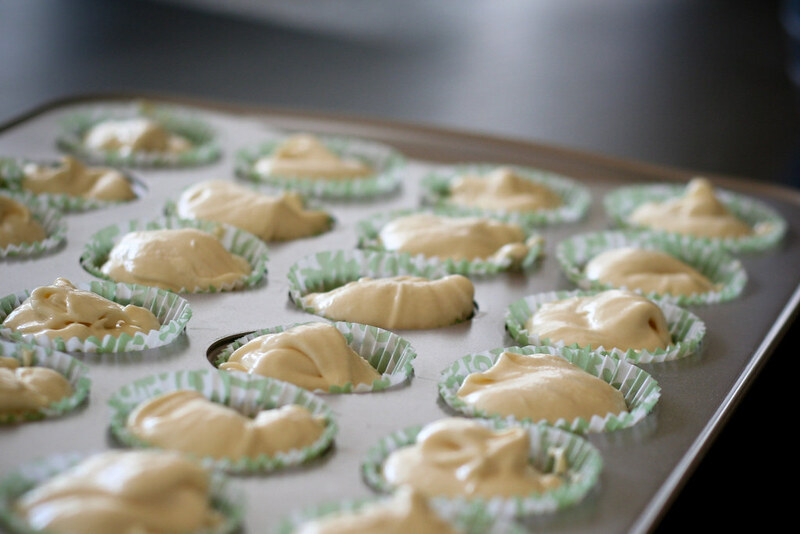 Fill the cupcake liners to the 2/3-level with batter. Bake in the center of the oven for 20 to 25 minutes for full-size or 15 minutes for mini. They’re done when a toothpick comes out clean. Cool to room temperature. While the cakes cool, make the icing. Mix the butter, cream cheese, sugar, and vanilla in the bowl of an electric mixer fitted with the paddle attachment, on low speed until the sugar incorporates, then turn it up to high and whip for about 3 minutes. Spread the frosting generously on top of each cupcake. For fancier frosting, put the icing in a gallon sized ziploc bag and refrigerate for 15 minutes. Cut the bottom corner of the bag and pipe a dot of frosting on, then pull up. Continue until the surface of the cake is covered. This was my first time doing this, so I didn’t take any pictures. The first one came out terrible, but they got better and better the more I made. Makes 3 dozen full-size cupcakes. love the frosting spikes, they look like little prehistoric lizards. in a good way. i wish key lime pie were ubiquitous around here. my life could use more key lime pie. these are special! I can’t help but wonder what the little green dingo balls are? I love great looking cupcakes! Thanks for sharing. These look awesome! And so beautiful too! yum! i love the taste of key lime things! it looks delish!!! These look amazing! Next birthday party I go to I will give them a whirl. how can you not lick the spatula?! cute cakes, i’d love to try these out. Amazing cupcakes!! I made them last night, and couldn’t resist eating one immediately after it was frosted. DELICIOUS! Oh my…for all of us keylime lovers, this is a dream come true…. I made these yesterday. The cake recipe is a good one and I will probably use it with other flavors in the future. 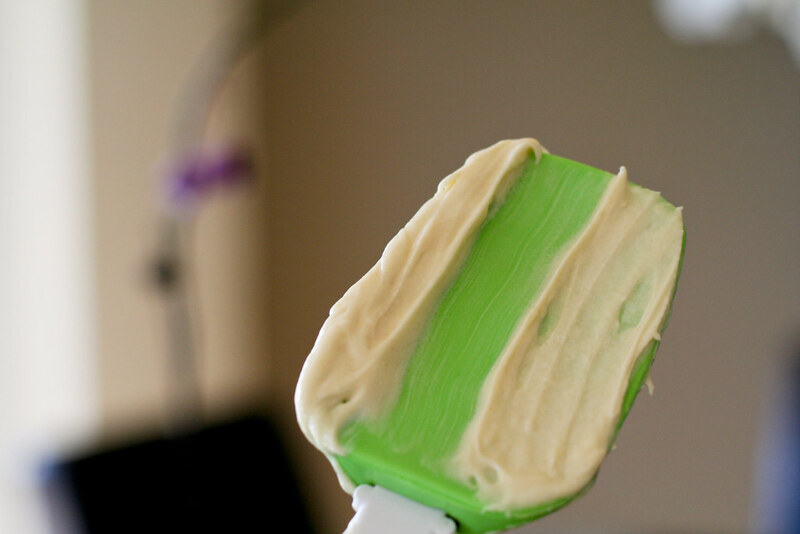 I made a key lime buttercream frosting instead and they are delicious. can’t wait to make them for a christmas party in florida! Thank you for this recipe. I filled these with a mango whipped cream, they were fab. Instead of cupcakes, can I make into a cake and how long to bake? Lavi – You sure can. I’m not sure how long. I would guess around 35 to 40 minutes. Once it reaches the 35 mark, try inserting a knife or toothpick in every 5 minutes. When it comes out clean, it’s done. Just reading the recipe, I know these are going to be delicious. Love Key Lime, and very easy recipe. Making on Monday for my daughters law office…….way to go! I know they will be a hit….before I even try them. Wow! these look so yummy, but key lime juice isn’t available where I am. Key limes in season are, though, but they’re so almighty small! How long is it going to take me to squeeze out 2/3 of a cup of juice? Oh, never mind how long. It’ll be worth it, I know. 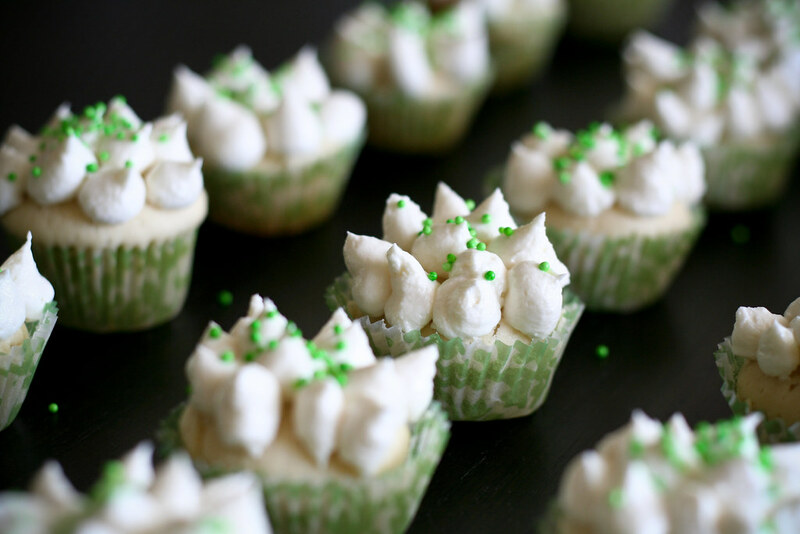 I also love the mini cupcake idea – I couldn’t stop at one, either. These were amazing! I am a member of a Mothers of Twins Club and took these to our monthly meeting. They were a HUGE hit! It is cold and dreary here in Boston and these reminded me of summer just enought to make it through the next month or so. I am going to try the strawberry with chocolate icing ones next. Thanks for the recipe. want to know if they freeze well. I am making cupcakes for my wedding and need to freeze them. It’s actually a nice and helpful piece of info. I am glad that you shared this useful info with us. Please keep us up to date like this. Thank you for sharing.